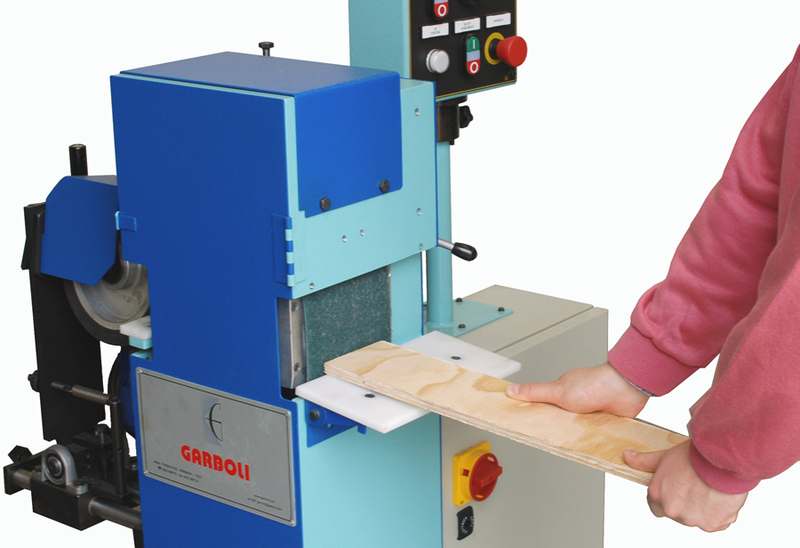 Centreless sanding machine with abrasive belt (item rotates during working process) suitable for sanding and finishing operations on STRAIGHT parts with max. diameter 80 mm. having round section, made of wood, plastic materials and metal. A.m. unit is equipped with an AUTOMATIC feed system, suitable to sand cylindrical round parts and can also be equipped with a special device for feeding parts shorter than 200 mm. 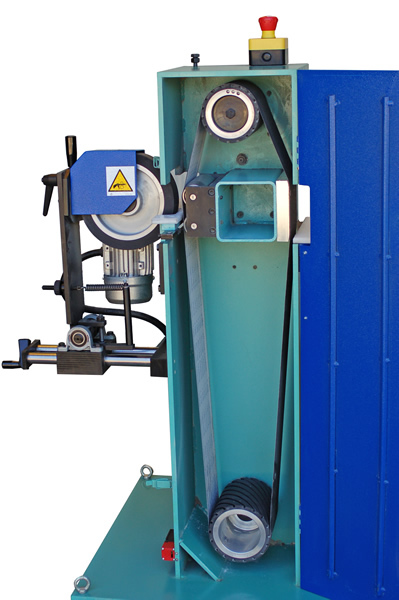 On this machine is mounted n°1 abrasive belt – size 2180 x 140 mm. Minimum diameter: 10 mm. Abrasive belt motor: 3 Kw. Maximum diameter: 80 mm. Feed motor: 0,09 Kw. Minimum length (standard): 200 mm. 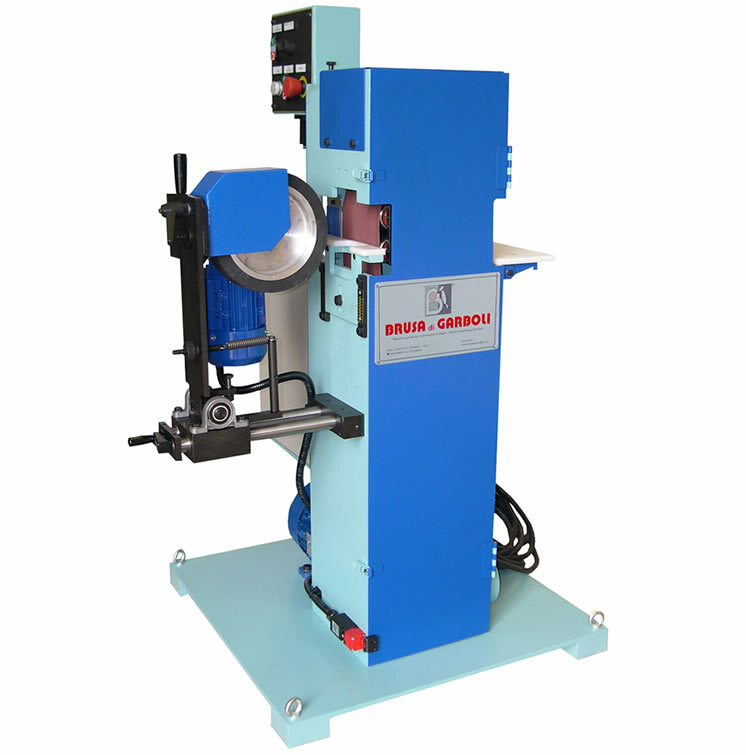 Abrasive belt size: 2180 x 140 mm. Productivity: 1/10 mt./min. Standard voltage: 400V/50 Hz.